The Paterson Habitat for Humanity received a $375,000 grant to finance constructions of homes in the 1st and 4th Wards on Monday. Funds are provided through the Federal Home Loan Bank of New York’s Affordable Housing Program and sponsored by M&T Bank. Funds will go towards helping to finance the construction of 15 homes. The homes built by Habitat for Humanity have been changing entire blocks in some of the roughest sections of Paterson by promoting homeownership. 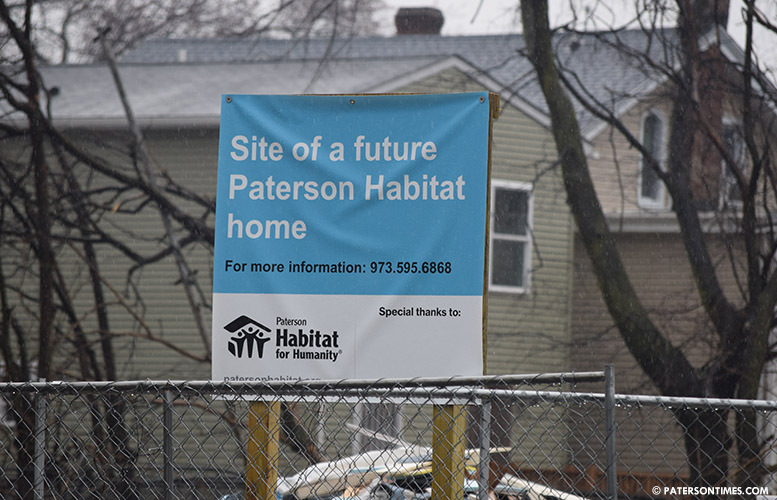 “All you really have to do is drive down one of our streets and see a block of houses that has homeowners as opposed to a block where there aren’t homeowners,” said Dave Juliana, chief financial and operations officer at the Paterson Habitat for Humanity. Concentration of homeownership creates a sense of ownership to stabilize neighborhoods, he said. Juliana said some of the 15 homes are already under construction and some are slated for construction. On average it takes $215,000 to build a home, excluding land acquisition and demolition costs, he said. Low-income families are able to purchase the brand-new homes through a zero interest 30-year loan. Paterson Habitat for Humanity has built 275 homes in the city’s 1st and 4th Wards, he said. The nonprofit provides support services to new homeowners by preparing them for first-time homeownership, including providing instruction in home maintenance. All its homeowners are also required to put in “sweat equity” or 250 hours of on-site construction work and or service in organization support roles. Juliana said all of the 15 homes will be completed in 24-30 months. Why waste that much of tax payers money, only to build restricted luxury homes for city employees ONLY. It wouldnt be the first time thou.